Well, well, well! 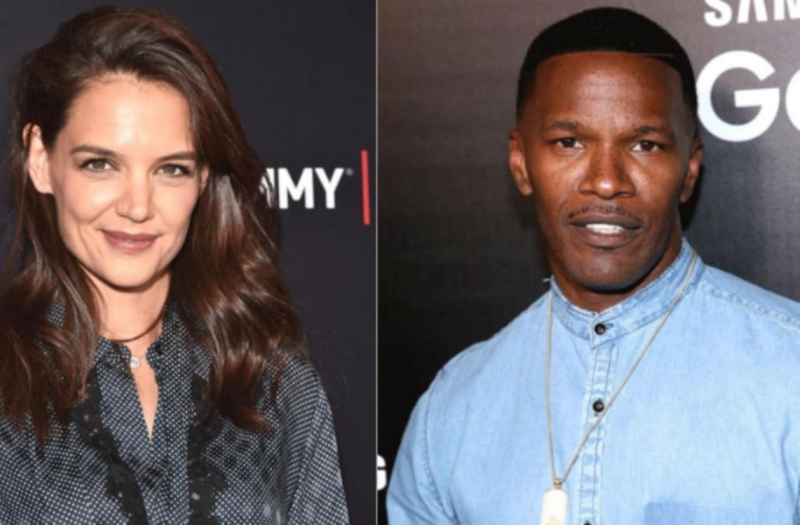 After years of keeping their romance under wraps, Jamie Foxx and Katie Holmes all but confirmed their longtime relationship on Monday. New photos have surfaced on TMZ and the Daily Mail of the extremely secretive pair holding hands while walking down the beach in Malibu, California. In the pic, Holmes, 38, is wearing a blue printed dress and shades as she strolls barefoot in the sand. She and Foxx, 49, are wearing matching wide-brimmed hats. The Baby Driver star is sporting a navy T-shirt and sweatpants, also opting to go barefoot. The two goofed off in the waves, running through the surf and laughing together. They later returned to a beach-side home, standing on the balcony together and pointing out at the shore. It is unclear whether or not they knew they were being photographed and filmed, but the two certainly didn’t seem to be hiding. But they have been spotted together several times throughout the years. In April, a fan snapped a photo of the two having dinner together in New York City.